Have you ever wondered how jigsaw puzzles first started out or when the first jigsaw was made? If we delve back into the History of Jigsaw Puzzles The first jigsaw puzzle that we know of was specifically made for children. An Englishman by the name of John Spilsbury decided to mount a map of England onto a thin piece of mahogany board and proceeded to cut around the boundaries of countries with a hand held fretsaw. He then placed all the pieces in a box so that children could assemble them to help educate them on about the geography of England. 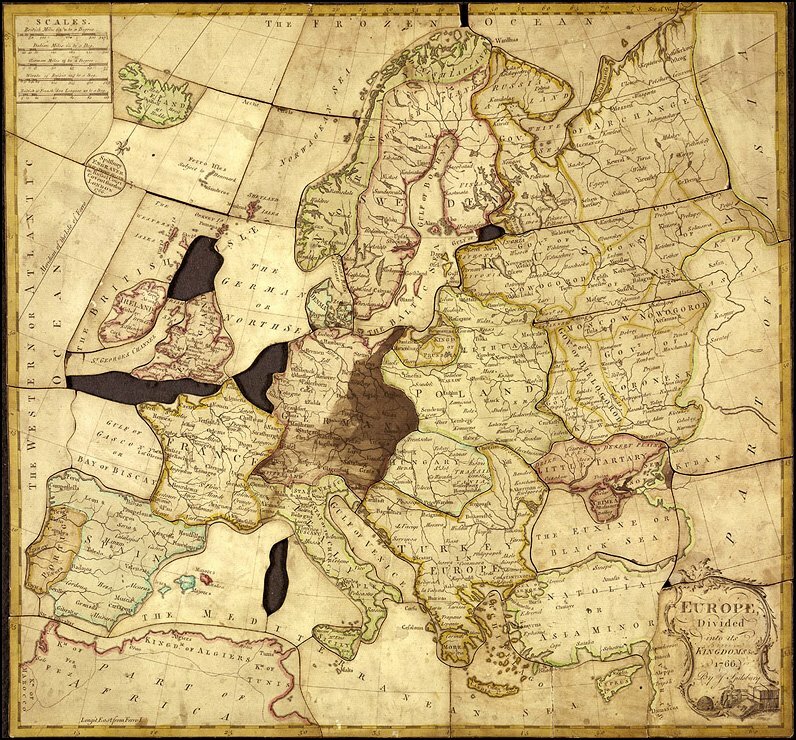 These early jigsaw puzzles were known as “Dissected Maps”. Several other individual manufacturers both from England and Holland in the next 40 years proceeded to copy John Spilsbury’s ideas manufactured jigsaw puzzles of historic scenes that would compliment the already popular map puzzles. What is the Future of Jigsaws? In the beginning portion of the nineteeth century, puzzles were produced primarily for well-to-do children and nearly always with education as the primary goal. To reduce cutting labor the puzzles consisted of only just a few large pieces and simply the only pieces that interlocked were those that made up the exterior border. The remainder were cut rapidly using straight or wavy lines. Mahogany or Cedar were the wood of choice when making these jigsaw puzzles. Here is an example of a jigsaw puzzle made in the and around the 1870’s by Betts. You will notice that this type of jigsaw was the norm up to around that date. By our modern standards the quality of the print was very poor and you may notice that only the external border pieces are interlocking. The Invention of treadle operated jigsaws were introduced. Specialized techniques for producing Thin wood sheets were developed. Printing advanced quite a bit. It was at this time with the technological advancements that jigsaw puzzles were becoming more colorful, durable and intricate. Manufacturers were spurred on by the fact that adults were more interested in doing jigsaw puzzles and this lead to a wider range of jigsaw subjects becoming available. People were fascinated with these colorful complex jigsaw puzzles. Their jigsaw puzzles were made up of diverse colorful topics and subjects. Jigsaw puzzle cutting was made more intricate and included “Whimsies”. These were puzzle pieces that were cut into recognizable shapes of for example household goods and animals. Thick cardboard and plywood began to be utilized versus highly-priced hardwood. Raphael Tuck and his family were not just know for their advancements in the jigsaw development but they were all credited for the first production of commercial Christmas cards and picture postcards. 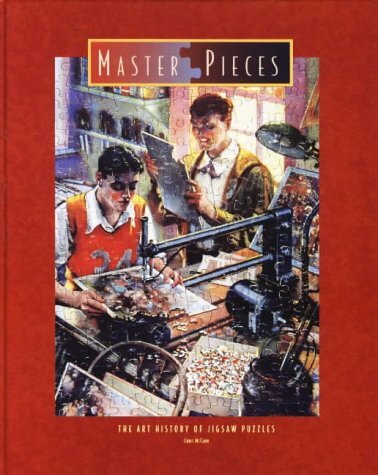 This review gives a look into the history and popularity pertaining to jigsaw puzzles and offers a vast amount of information by presenting the reader with loads of tidbits on pretty much every aspect you could possibly imagine. You’ll find a lot of worthwhile information and a really nice collection of color photos in this book. You’ll find it to be an excellent reference book to keep for the future. If you’re a fan of jigsaw puzzles, you ought to take a look at this book. In case you truly love putting together wooden jigsaw puzzles, then grab a copy of this book today. 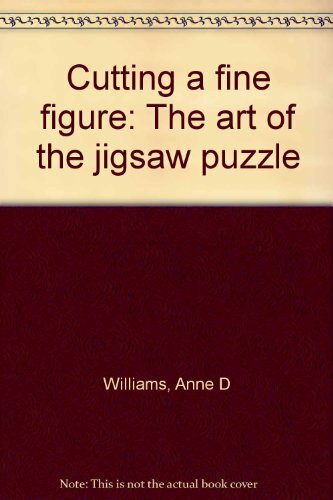 This book by Anne D. Williams is a very interesting book that looks at jigsaw puzzles in the 1800’s as for pricing. If you are looking for later puzzles in the 1900’s, there is not much reference. 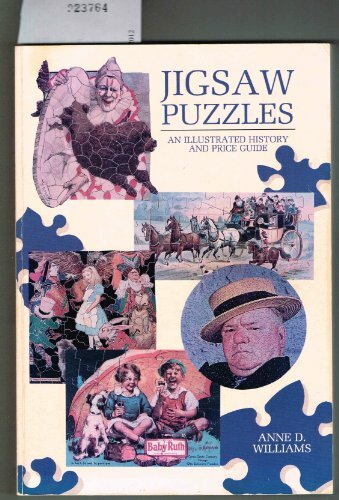 Here is another book by Anne D. Williams that would be of interest to anyone who is a fan of the History of jigsaw puzzles. There is not much that can be done of of now to improve the quality or cut in the world of cardboard Jigsaw puzzles. The production of these puzzles are nearly perfect. Manufacturers are constantly finding new images, and this aspect of the manufacture of jigsaw puzzles will never end. On the other hand wooden puzzles are far more durable than cardboard puzzles and the favorite choice when it comes to investments. With new technological advances the automation of of controlled lasers and water jet cutting has given wooden puzzles a boost in success. 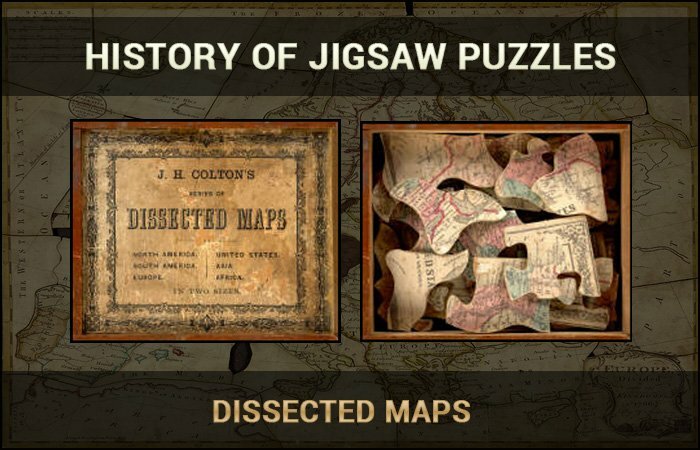 When all is said and done concerning the past History of Jigsaw Puzzles, where do you think jigsaws will go in the future?